CONGRATULATIONS! YOU GOT A NEW LISTING, NOW WHAT? Following these requirements will give the the best outcome for your MLS tour, Carol video and listings. 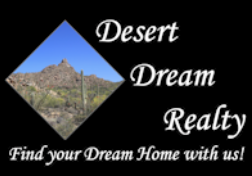 Please email a minimum of 5 - 9 original photos to webmaster@desertdreamrealty.com or send the link where they are stored. More pictures are great and can be used for the Carol Video. Any other features such a fireplace, pool, outdoor kitchen, etc. Don't forget to email pictures or picture link to webmaster@desertdreamrealty.com. Then Click on “Return to Search Results”. To view video on MLS, click on “Photos” tab then click on “Virtual Tour” to make sure it is working and is NOT branded.